The company updated both late last week, but concerns over the wording used left many believing it would be handing over the rights of their photos and videos to it. But you grant Snapchat a worldwide, perpetual, royalty-free, sublicensable, and transferable licence to host, store, use, display, reproduce, modify, adapt, edit, publish, create derivative works from, publicly perform, broadcast, distribute, syndicate, promote, exhibit, and publicly display that content in any form and in any and all media or distribution methods (now known or later developed). The major difference is Snapchat doesn’t own your snaps but licences them, allowing it to use submitted photos and videos for certain services like Live Stories, which are shown around the world. We will use this licence for the limited purpose of operating, developing, providing, promoting, and improving the services; researching and developing new ones; and making content submitted through the services available to our business partners for syndication, broadcast, distribution, or publication outside the services. Some services offer you tools to control who can – and cannot – see your content under this licence. Many took this to mean that Snapchat had ownership over users’ content and would use private snaps for broadcasting. Snapchat issued a statement saying this wasn’t the case and that ownership hadn’t changed. “First off, we want to be crystal clear: The snaps and chats you send your friends remain as private today at they were before the update”, says the statement. “Of course, a recipient can always screenshot or save your snaps or chats. 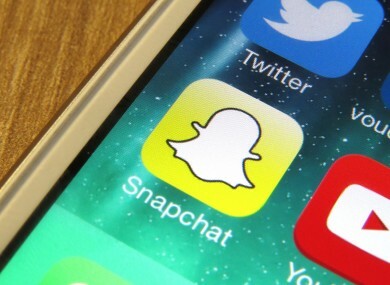 But the important point is that Snapchat is not – and never has been – stockpiling your private snaps or chats”. While it admitted that its terms of service give it “a broad licence to use the content you create – a licence that’s common to services like ours”, it says it needs it to operate certain services. Compared to the previous version, little has changed apart from the addition of an in-app purchasing section (US users can pay to replay snaps they already watched for $0.99). Email “No, Snapchat isn't storing your photos and never did”. Feedback on “No, Snapchat isn't storing your photos and never did”.